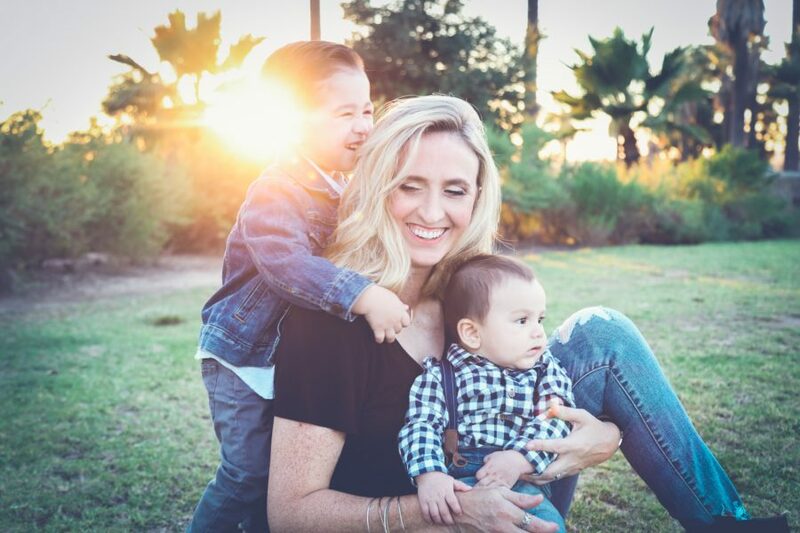 So, it’s reached that time of year again, when little ones will soon be expecting – nay, demanding – an entire year’s worth of sugar crammed into one night of snacks. Stay strong in the face of little monsters though – we’ve come up with some delightful alternative Halloween treats which you can make with them at home, and which won’t ruin their healthy diets come October 31st. 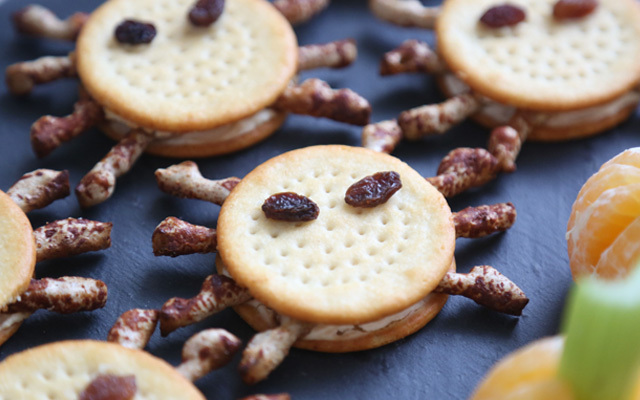 And from plenty of home testing with our own broods, we can attest to how scarily effective they are..
Arachnophobes beware; our spider crackers are totally creepy – yet also delicious. To make them simply sandwich two round crackers together with cream cheese and insert eight twiglets in as legs, before popping two eyes/raisins on for a finishing touch. Almost makes us shiver! 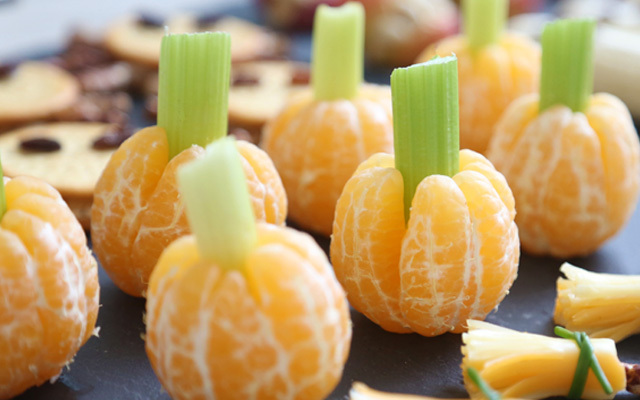 All you need is a little creativity to make little ones eat their fruit and veg – just insert the end of a celery stick into the middle of a mandarin for a pumpkin-esque treat. 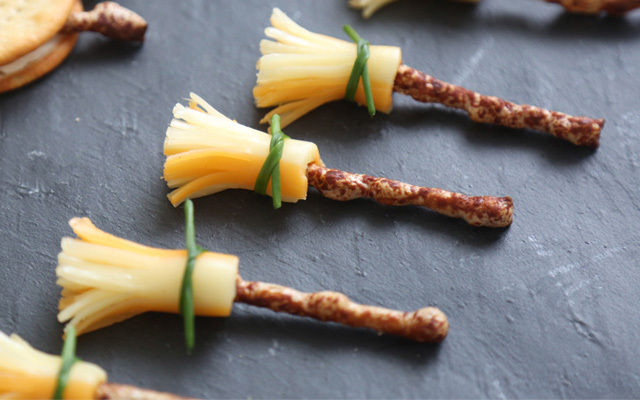 For especially arty parents the cheese string broomstick should be a cinch. Just chop a cheese string into three and carefully peel to the base, then insert a twiglet in the centre and tie with a single chive. They’re virtually too good to eat! A great way to show little ones how their gnashers will look if they only eat sweets on Halloween, our apple and peanut chompers are a particular favourite. 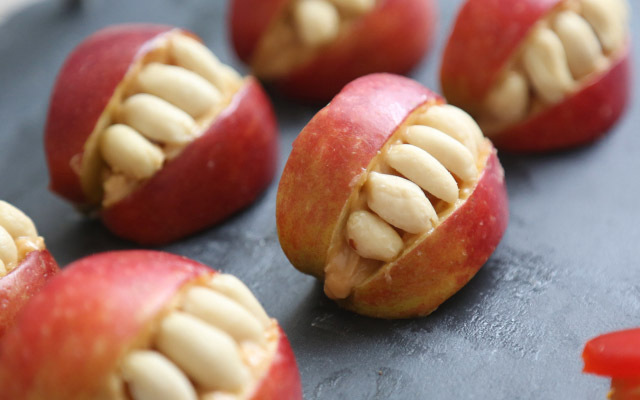 Just slice an apple into thin-ish pieces and smother the insides with peanut butter. For teeth, select around six carefully chosen peanuts and insert them in between the slices to hold the lips apart. 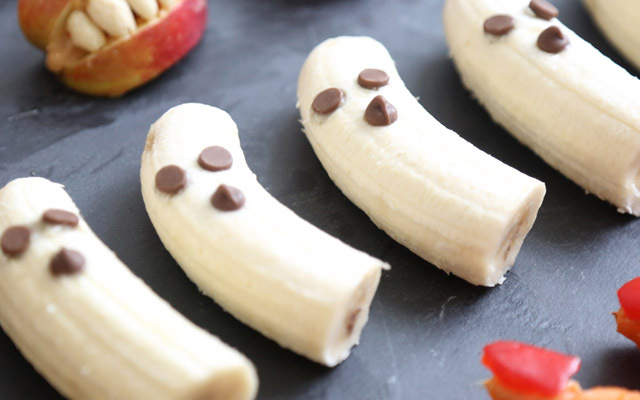 Super simple, super yummy – banana ghosts only need a trio of chocolate chips and a yellow fruit with the base chopped off. (And if a few extra chocolate chips fall into your mouth when you’re making them, well…who are we to say that’s wrong?) 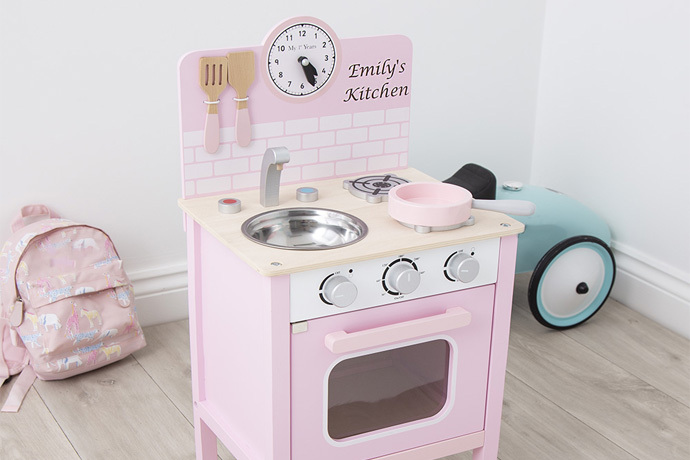 You can even add lollipop sticks to the base so little ones can take them away from the table without dropping them. 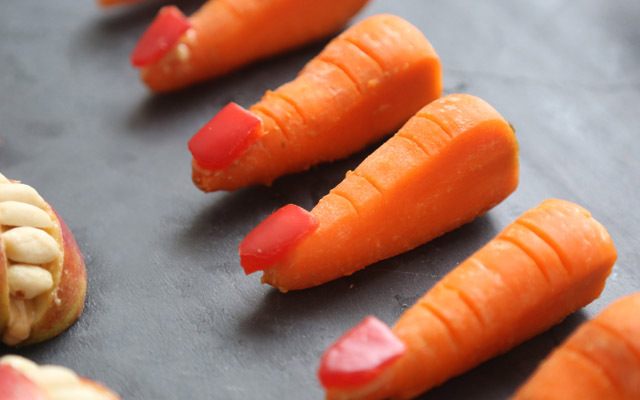 For our final Halloween treat, peel and slice a bag of mini carrots to make them thin and pointy, not forgetting the horizontal slits for finger knuckles. Cut out the nails from a red pepper, and stick to the ends using cream cheese once more. Finger licking good! 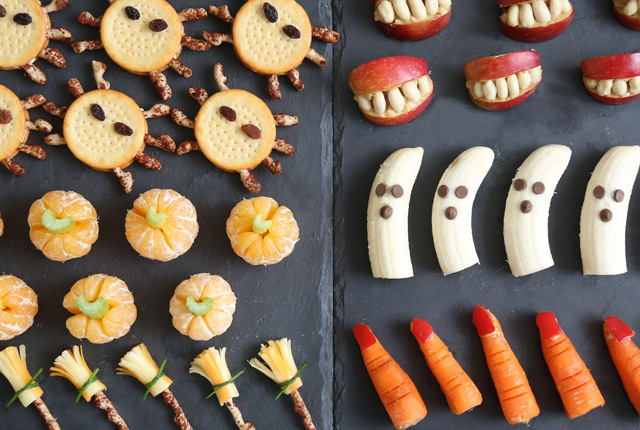 What’s your go-to homemade snack for Halloween night? 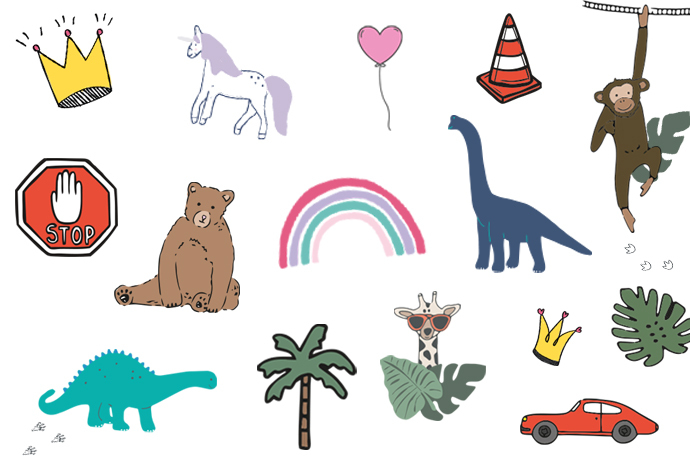 Or planning on using any of the above ideas? Let us know in the comments!